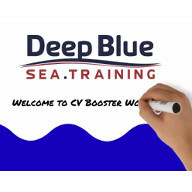 Welcome to the Deep Blue Sea Training Latest News & Information section. Here you will find our latest updates including success stories, course information, testimonials from happy clients and much more. 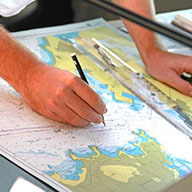 Also within this section, you will find generic information about Yachtmaster, the RYA and Yachting. This section is updated on a regular basis so please come back soon and see what has been going on at Deep Blue. 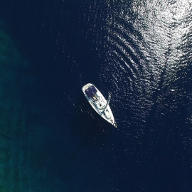 Sign up to the Deep Blue Rib Club Experience and enjoy unlimited use from a fleet of superb 9m ribs in many worldwide locations, all new for 2019. 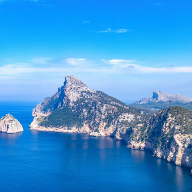 Locations include Mallorca (Puerto Portals, Port Andratx, Palma and Port de Pollensa), Ibiza Town, Menorca (Mahon) and South Africa (Cape Town) with more new and exciting locations to come in 2019. 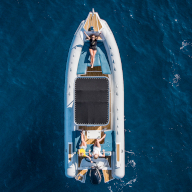 This is a Private Members Club for people who want the freedom of being out on the water without the costs and hassle of boat ownership. Join the Deep Blue Rib Club experience and when you sign up with us you will receive a FREE training course to Powerboat Level 2 standard for up to 3 persons in the same party worth €899, or a FREE 1 Day refresher for existing powerboat licence holders. 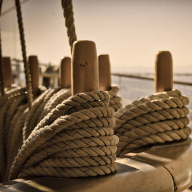 We are delighted to announce the launch of our new CV Booster workshops for yacht crew. These FREE 2-hour sessions provide useful knowledge and skills for newbies and experienced yachties alike, and will run on selected Tuesdays and Thursdays over the next couple of months. Congratulations on a successful week of COMPETENT CREW SAIL and DAY SKIPPER PRACTICAL training. Day Skipper Sail Course - If you´d like to know more about this fun and challenging course, call our team at our office in Santa Catalina. Congratulations on passing your Powerboat Level 2. Deep Blue Sea Training runs Powerboat level 2 courses every weekend. Speak to our team at our office in Santa Catalina to secure your place. The Yacht Racing Association was founded in November, 1875. Its initial purpose was to standardise the rules of measurement to different racing yachts, so that boats of different classes could compete fairly against each other. 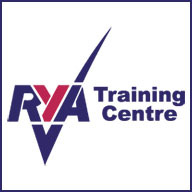 The Royal Yachting Association (RYA) is the national governing body for certain watersports in the United Kingdom. Activities it covers include Sailing, Windsurfing, Motor cruising, Powerboating & Personal watercraft. 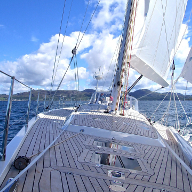 The RYA is one of the founding members of the International Sailing Federation the World Governing Body for the sport of sailing and serves as the Member National Authority. 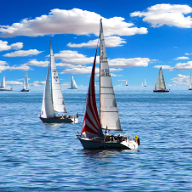 The invention of sailing is prehistoric, but the racing of sailing boats is believed to have started in the Netherlands some time in the 17th century. Soon, in England, custom-built racing "yachts" began to emerge. In 1851, the Royal Yacht Squadron in Cowes challenged the American yacht America. 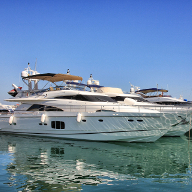 Yachting refers to the use of recreational boats and ships called yachts for sporting purposes. Yachts are different from working ships mainly by their leisure purpose. Both terms originate from the Dutch word jacht ("hunt"). With sailboats, it is called sailing, and with motorboats, it is called powerboating. 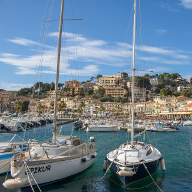 Mallorca (3640 sq.km) is known as an easy-to-reach mecca for fans of sunny beaches, sailing, yachting, amazing landscapes and wonderful mountains and has a coastline of more than 550km (which of course, is best explored by boat). In high season the island receives about 9 million tourists from around the world. This is both a blessing and a curse for the inhabitants however; they are well prepared for it and provide a very well-organised tourist infrastructure. A Luxury yacht (also super-yacht, large yacht and mega-yacht) is a very expensive, privately owned, professionally crewed sailing or motor yacht. There is no industry-wide standard for the difference between super-yacht and mega-yacht. 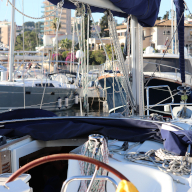 The only legal distinction is between yachts above 24 metres (79 ft) and below, as in some countries those above 24 meters must have a permanent crew onboard. This term began to appear at the beginning of the 20th century, when wealthy individuals constructed large private yachts for personal pleasure, such as Charles Henry Fletcher's Jemima F. III, at 111 feet, the largest motor- powered yacht in the world in 1908.